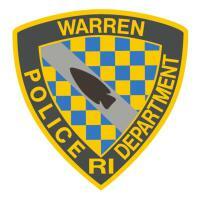 Welcome to the official website of the Warren Police Department. It is my honor to serve as the Chief of Police for the Town of Warren, Rhode Island. The sworn and civilian personnel that comprise the Warren Police Department are dedicated to serving the public with a high degree of integrity, diligence and compassion. A partnership with the community is a major component in achieving and maintaining a safe and secure environment. We are here to assist the community with ensuring that all who visit and reside in the Town of Warren have a safe and enjoyable experience. I encourage you to take the time and browse through our site and become familiar with the services we provide and the personnel conducting those services. Peter T. Achilli started his career with the Warren Police Department in 1983 as a Special Police Officer at age nineteen. In 1986, at age twenty-two, he became a Police Recruit and attented the Rhode Island Municipal Police Training Academy. Upon graduating in June 1987 he was assigned to the Patrol Division. As a memeber of the Patrol Division, he was trained and certified as an Accident Reconstructionist, served in the Community Policing Unit and on the Special Response Team. In 1996 he was promoted to the rank of Detective, working all aspects of the Detective Division, from Narcotics Investigations to Prosecution Officer. In 1999 he was promoted to the rank of Detective Sergeant where he was responsible for the overall supervision of the Detective Division. In 2001 he was promoted to the rank of Lieutenant, where he served as the Department's Police Adjutant and was responsible for the overall Command of the Patrol and Detective Divisions. In 2009 he became the Warren Police Department's Chief of Police. As the Department's Chief Executive Officer, Chief Achilli is responsible for the management of twenty-four full time, six civilian and twenty five part-time police personnel. His additional responsibilities and duties include,- Creating and administering a 2.6 million dollar annual budget,- Writing, implementing and administering plans, policy, procedure, standards of conduct, rules and regulations,- Managing all aspects of police activities, facilities, equipment and human resources,- Providing responsible and accountable police services to the community. In addition to his law enforcement duties and responsibilities, he is assigned as the Town of Warren's Assistant Emergency Management Director and Chairperson of the Traffic Commission. 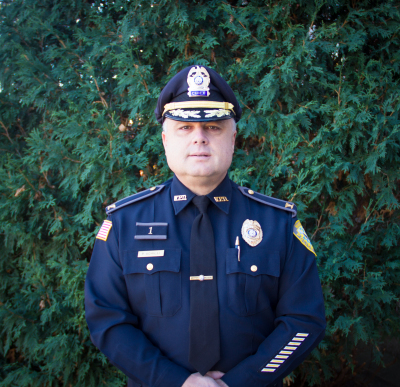 Chief Achilli is a graduate of Roger Williams University with a degree in Criminal Justice. He is also a member of the Rhode Island Chief's Association, New England Chiefs Association, Rhode Island Criminalistics Association, International Association of Arson Investigators, Bristol Elks, Bristol County Massachussetts Sheriff's Department and Roger Williams Alumni. 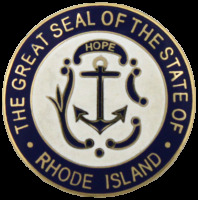 Rhode Island Municipal Police Training Academy. Upon graduating in December 1987, he was assigned to the Patrol Division. and on the Special Response Team. In 1995 he was promoted to the rank of Detective. he worked 12:00pm – 8:00 am and 4:00 pm – 12:00 pm as shift Sergeant. In 2001 he was promoted to the rank of Detective Sergeant where he was responsible for the overall supervision of the Detective Division. In 2009 he was promoted to the rank of Lieutenant. From 2009 to 2018 he worked as the Patrol Commander and the Detective Commander. In 2016 he attended a Mid-Management University Justice System Training & Research Institute and New England Association of Chiefs of Police, Inc. 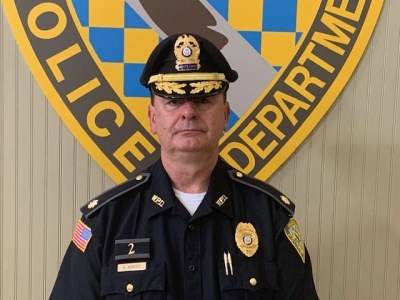 In August of 2018 as a thirty-two-year veteran of the Warren Police Department he was promoted to the rank of Deputy Chief. He is the department adjutant and second in command. He assumes all duties and responsibilities of the Chief of Police in his absence, subject to any limitations set forth by the Chief. Deputy Chief Roy Borges holds a major in Sociology and a minor in Criminal Justice from Rhode Island College. He is a member of the Rhode Island Criminalistics Association, the Portuguese American Police Association and the Rhode Island Police Accreditation Coalition.